Home / Public / Solar Certification Fund: 10th call launched Enhancing quality assurance for a sustainable technology! Solar Certification Fund: 10th call launched Enhancing quality assurance for a sustainable technology! 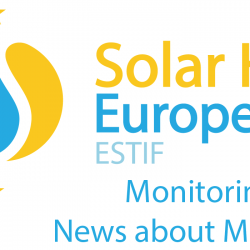 Brussels, 20 November 2018 – The Solar Certification Fund (SCF) launched its 10th call for proposals to continue to provide regular and reliable support for (1) developing better and new Solar Thermal certification and standardization processes, (2) ensuring quality assurance for tomorrow’s solar thermal technology.